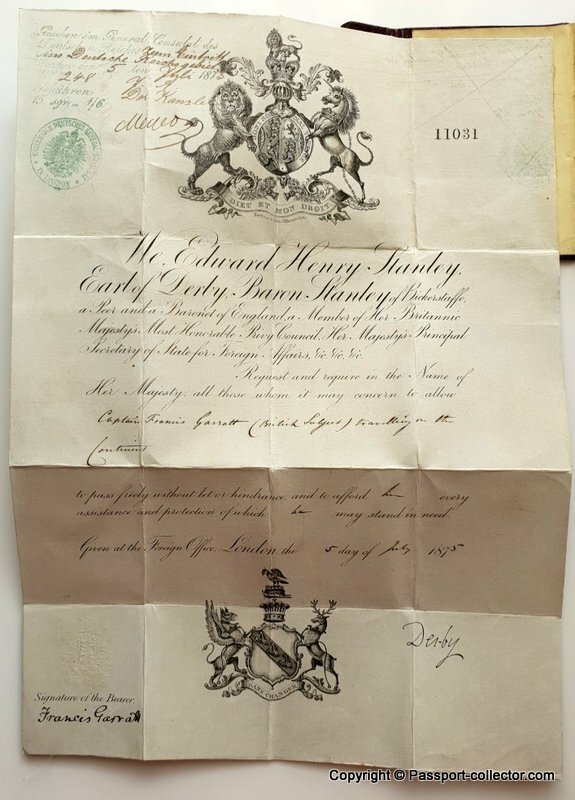 First of all, this passport is issued in 1875 in London, which makes the travel document 144 years old. But what is most astonishing is the fact that the document looks like made just yesterday. Amazing! 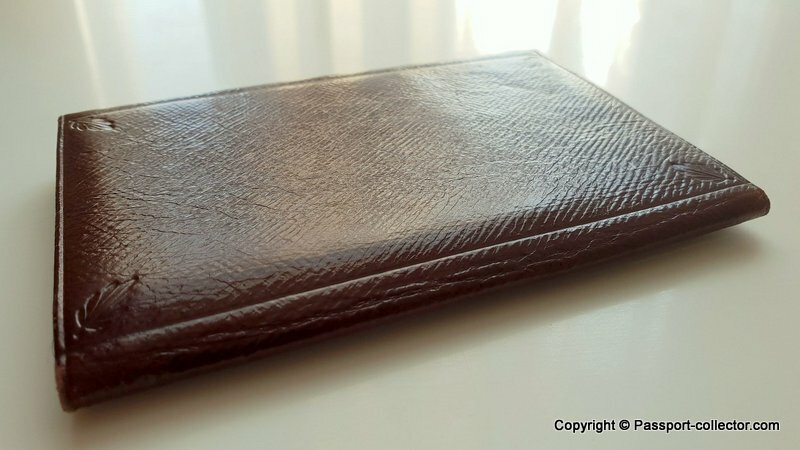 There is not a single flaw at this passport which comes in a custom made brown leather case (the leather is still shiny and indeed perfect). 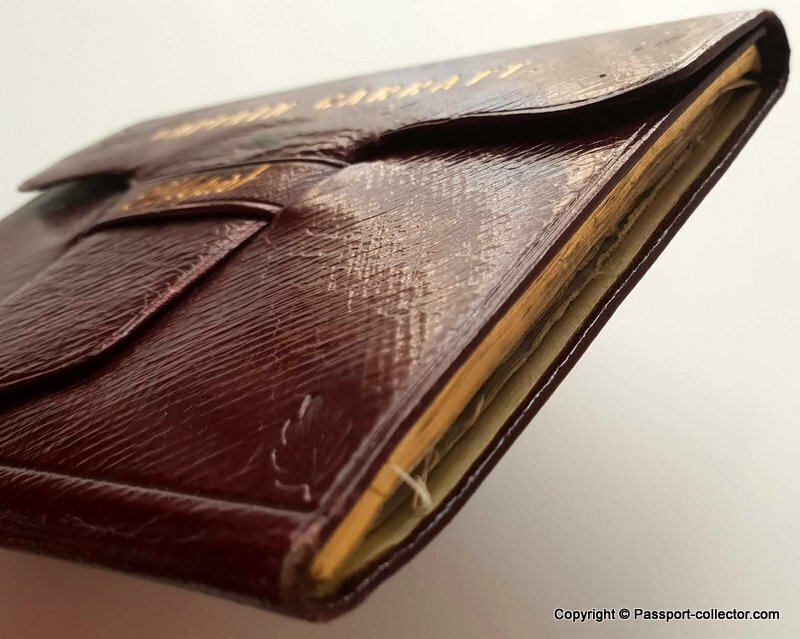 The thin paper of the passport is strengthened by a linen layer, which makes the document much more durable. Also, this is custom made. The linen material has a light blue color, which gives the document also a greater “importance,” compared to ordinary passports. 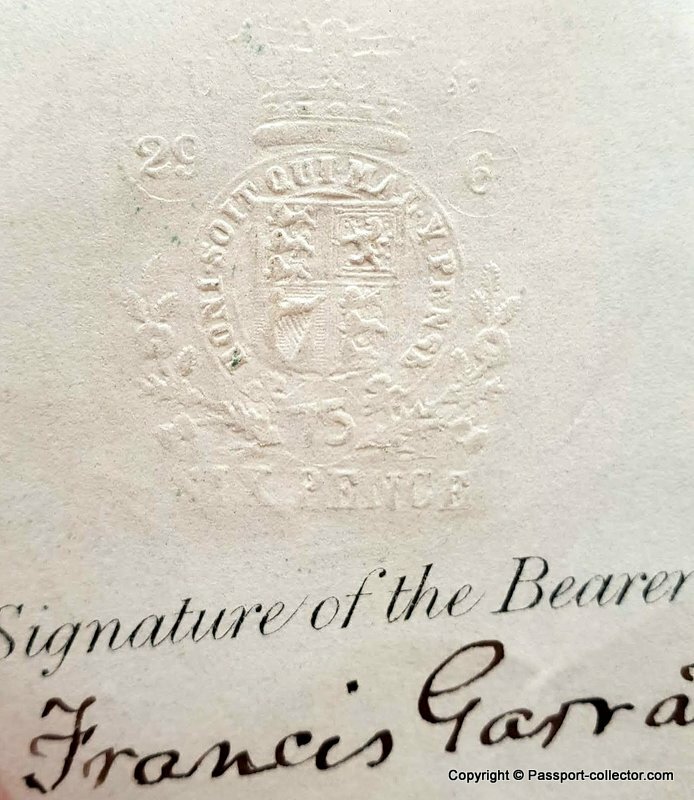 When I ever saw an old passport in perfect condition, then it’s this one. 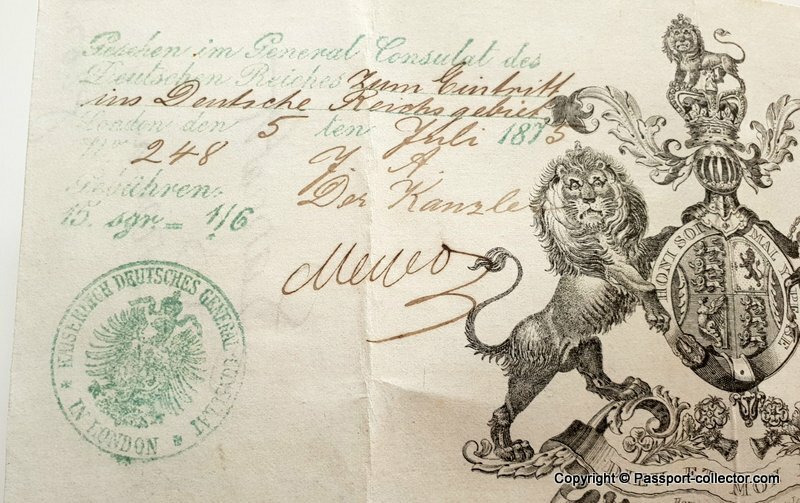 In the upper left corner is a visa of the German Empire issued at the German Consulate General in London, 5 July 1875, exactly on the same date when the passport was issued at the Foreign Office in London. 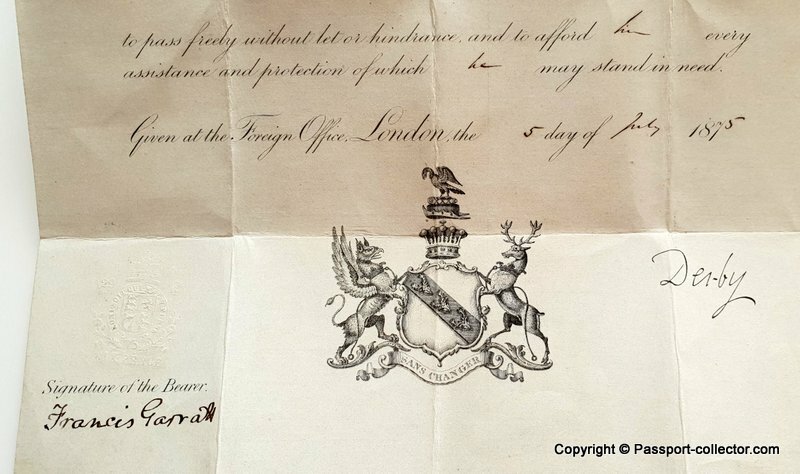 Such services (cases and visas) were done by passport agents like Lee & Carter, West Strand, London – where this customized travel document was ordered as well. 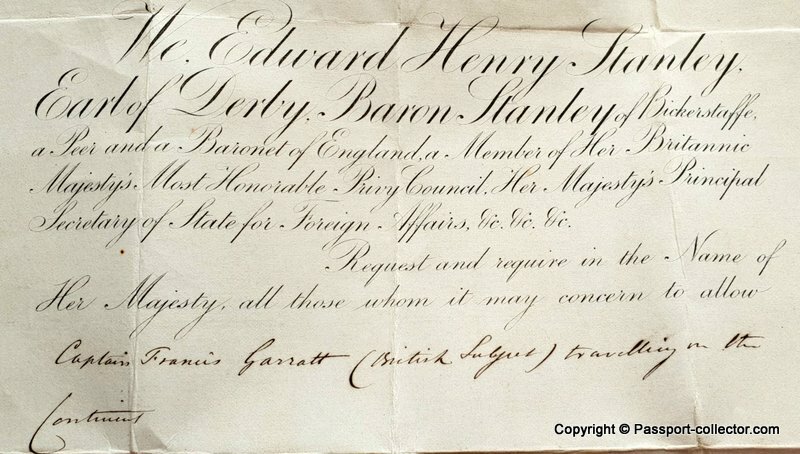 Garratt died on 23 May 1884 at at 69 in London. The Lord Mayor of London is the City of London’s mayor and leader of the City of London Corporation. Within the City, the Lord Mayor is accorded precedence over all individuals except the sovereign and retains various traditional powers, rights, and privileges. The office of Mayor was instituted in 1189, the first holder of the office being Henry Fitz-Ailwin de Londonestone. The Mayor of the City of London has been elected by the City, rather than appointed by the Sovereign, ever since a Royal Charter providing for a Mayor was issued by King John in 1215. The title “Lord Mayor” came to be used after 1354, when it was granted to Thomas Legge (then serving his second of two terms) by King Edward III. 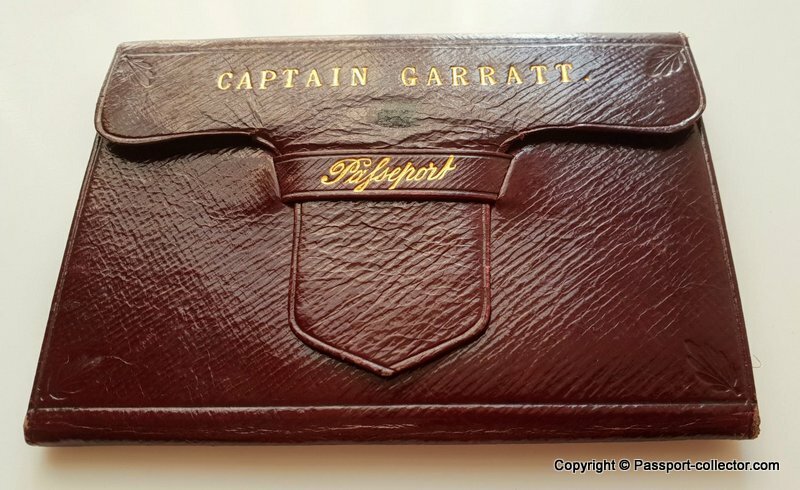 The Francis Garratt passport is indeed a thing of rare beauty. 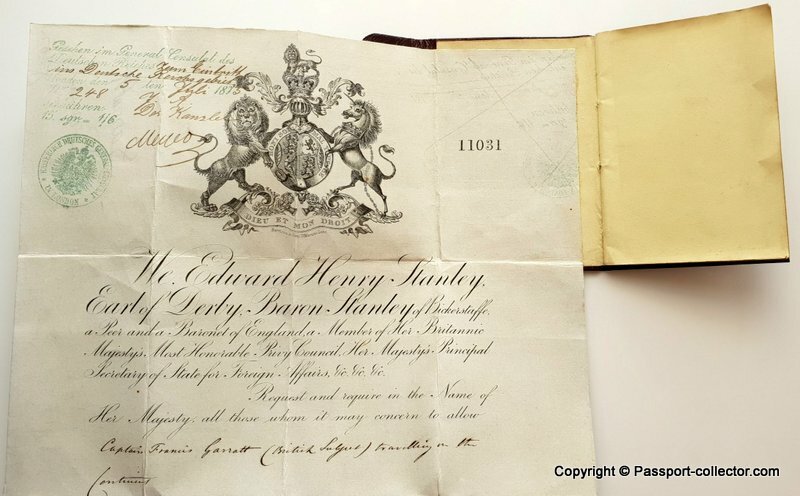 Like you, I’ve seldom seen an old British passport in such excellent condition, and I’ve seen a fair few in my time.